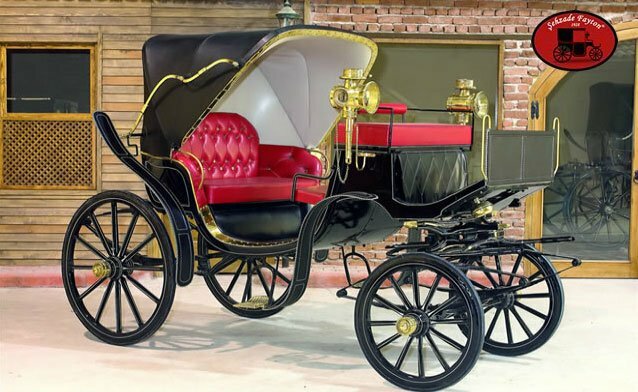 British royal carriages have showed great interest in the last phaeton manufacturers in Turkey by the Sun as my family is preparing handmade in Akhisar. Phaetons, which are the only vehicles without access to transportation for centuries, are now being used only in excursion areas such as İzmir Kordon Boyu. So the caricaturists were already mixed up. Except a family. The Sun Family, a 3-generation fighter and horse car in the Akhisar district of Manisa, is the last representative of the Occupation in our country and two of the few masters in the world who are too few to pass the fingers of two hands. The son of Bülent Güneş has undertaken the phaeton that they carried out at Akhisar Industrial Site and the horse car is father Şefik Güneş. Generally, municipalities are demanding the phaetons that they produce hand waving, wrist strength and patience. According to the Son Sun, the interest of the masonry to the phaeton has increased for the last few years. In the last two years, 10 townspeople, especially Isparta, Eskişehir, Kırıkkale, Gaziantep and Kars municipalities, have made and sent a phaeton. Istanbul Eminönü Municipality has also come to demand, but it was later abandoned because it was a closed-space problem that could use the phaeton. Apart from these, the father-son who exported the phaetons abroad also made phaetons to many countries such as Greece, England, Israel, Saudi Arabia, Dubai, Switzerland as well as Greece up to now. The “Londauer” model phaetons, also known as the ‘Royal Phaeton’ to London, have been made and sent by father and son, originating from phaetons used in Europe and the Ottoman Empire since the 16th century. As for the phaeton, Bullent Gunes, who stated that the Kordon Boyu phaetons in Izmir are not the original phaetons, suggests that they are poor quality cars. The Westerners are also more curious than us, saying, “They want to live the non-nostalgia, for example there are 700 carriages in Centrel Park in New York, which is an interesting indication of their past.” says. Phaeton in beech, pine, Sun said they use 5-6 different kinds of trees such as ash and beech in Europe that he prefers simple and no-till carriages, while the municipalities in Turkey a little embroidered edges, says they are pictorial models. The prices of phaetons made by the Suns vary between 10-15 billion liras, while big horse carts are sold from 2-3 billion, small phaetons made for ornamental purposes are sold from 5 billion, and small horse carts are sold from 350 million liras. Bülent Güneş, the Akhisli carriage manufacturer who says that his biggest problem is limited production, says, “We carry out this work together with my father, there is no one to help us and we can finish a phaeton only in 40-45 days. but we can not do it. “If we work intensively for a year, we can produce no more than 12-13 phaetons.” he says.